I love creating beautiful things. 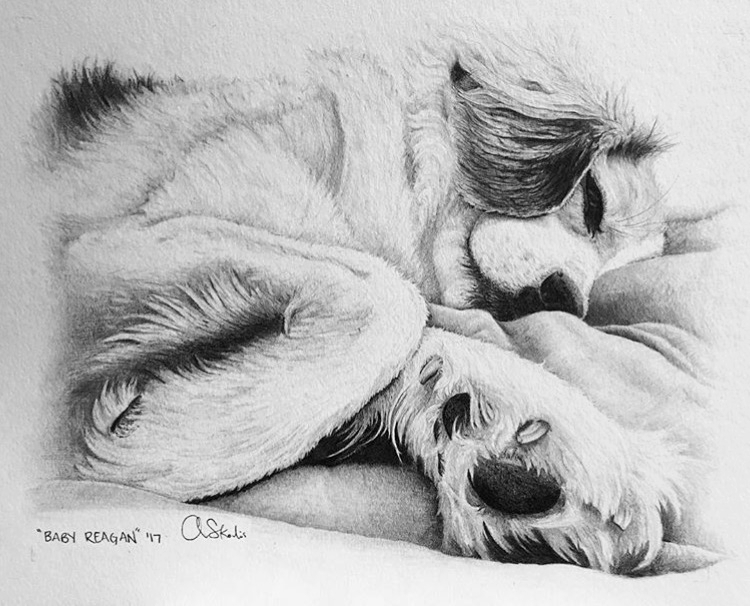 I do commissioned pet portraits in watercolor and graphite. I can also draw/paint people too! If you are interested in having one done, please fill out my form on my “Connect” page. Commissioned piece of a dashing dog named Dash. Baby Reagan, yet again. Graphite drawing. 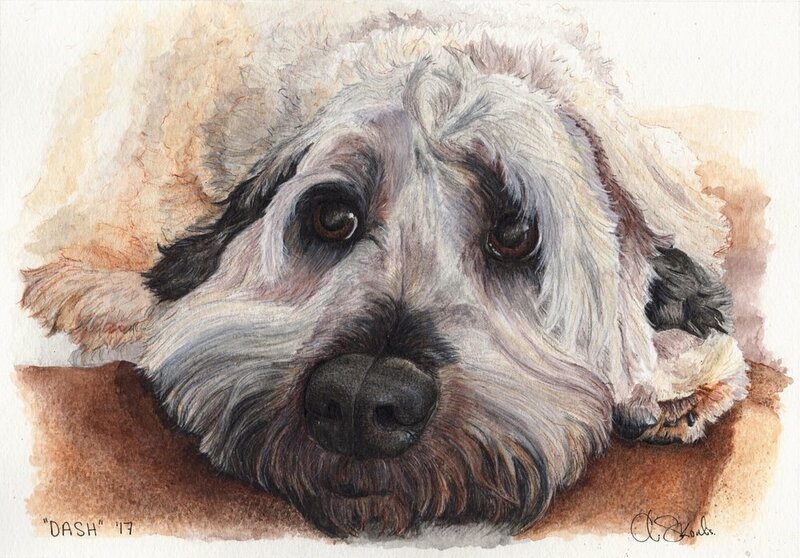 A pet portrait of my friend's dog, Reagan, for his parents. Just a mallard duck taking a bath. This was a piece I did as a thank you for a family friend. The gentleman always called the flowers, "Fairy Fingers," when he was a boy. I created this piece for my grandmother. She loved watching hummingbirds outside of her living room window. This was the first painting in a series of three. This was a commissioned piece for my Aunt for her dog, Buzz Lightyear. He was a great model. This is the third piece in my hummingbird series. I call this one "Reunited" because it represents my grandfather finding my grandmother, who was waiting for him. I have a small obsession with cacti. I loved my prints so much, I made them into greeting cards.